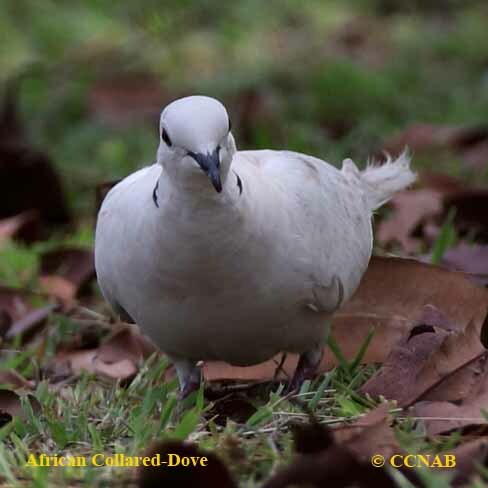 The African Collared-Dove is a bird similar in looks to the Eurasian Collared-Dove, recognized by its lighter coloured plumage. 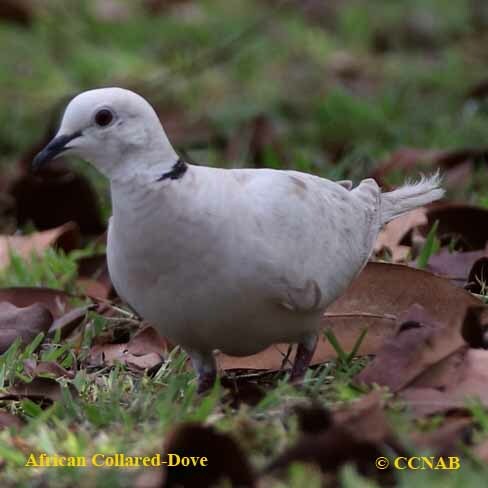 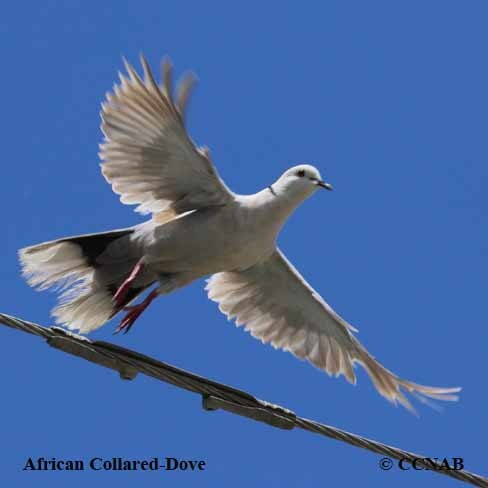 Originally, a dove species from Africa that was introduced to the North American continent. 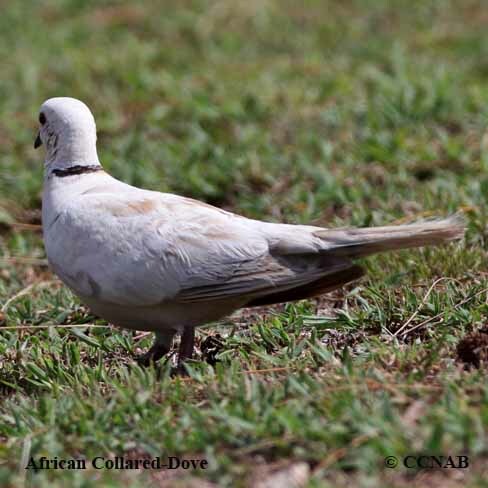 It is still seen in small numbers in the southwestern areas of the states. 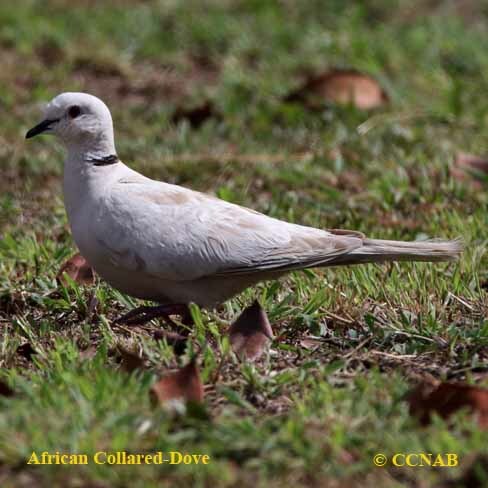 It has taken a foot hold on some Caribbean Islands, and is striving quite well.